Media Size: 3" x 4"
Smart ideas have gotten you this far. Continue the trend with these Fold and Clip Name Badges. Just print and fold for two-sided name badges. Don't start from scratch, create badges filled with clear text and colorful graphics using free templates from avery.com. They're the intelligent way to create professional-looking badges with company logos, job titles and names. 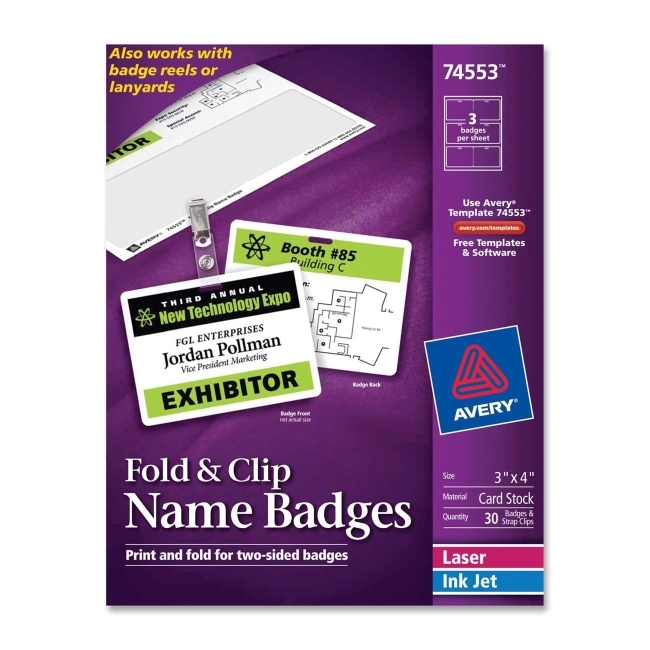 Print with either an inkjet or laser printer and attach using the included strap clip, or any badge reel or lanyard.